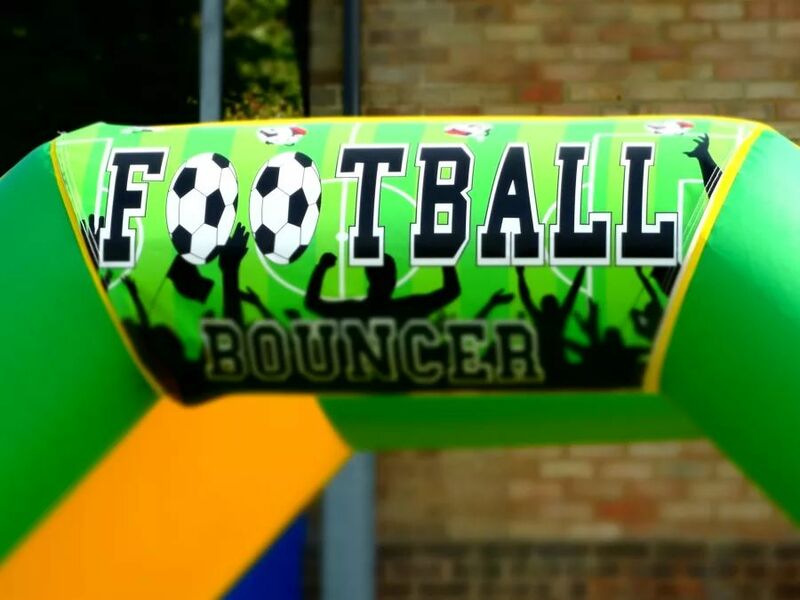 This Football Bouncy Castle is very popular with Boys and Girls, a great choice for Children's Parties, Weddings and Family get togethers of any kind. 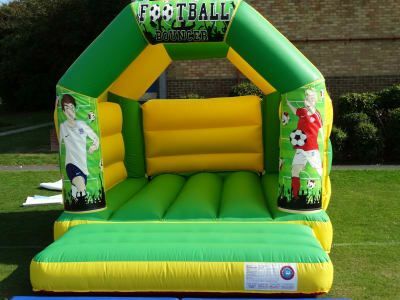 With reinforced seams the bouncing area is suitable for up to 6 Children at a time. We area are a Member of BIHA, TIPE, and we strive to maintain the highest standards in everything we do. This Castle, like all of our units, has a valid RPII Certificate, and its blower is regularly PAT tested.